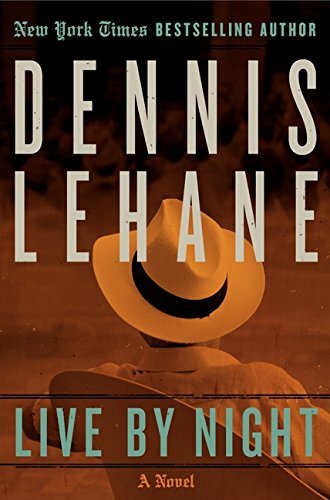 Book – Live by Night by Dennis Lehane.The story begins in 1926, during prohibition. Joe Coughlin only 19 years old, the son of a prominent Boson Police captain turns his back on a strict upbringing and aspires to become an organized crime boss. He starts as an outlaw forming relationships with gangsters and dirty cops to keep distilleries and speakeasies in business. The mob then sends Coughlin to South Tampa to oversee their bootlegging operation where he falls hard for a Cuban revolutionary beauty, Graciela. As years pass, he creates a huge empire in the illegal rum trade and builds a life for himself and Graciela in Cuba. But is he in over his head competing with ambitious ruthless men who will stop at nothing to maintain their control over cash, illegal booze, and guns? The novel is sizzling, gritty, and riveting. The movie based on this book is produced by Ben Affleck and Leonardo DiCaprio and is scheduled to be released in theaters on Christmas Day 2015. Ben Affleck also directed and will star in the film. Book – Capt. Will Lawrence of His Majesty’s Navy is very happy with his career. When he captures a French corvette transporting a rare and precious dragon’s egg, he takes responsibility for the egg, which means being there for its hatching. Unfortunately, the little creature – who he christens Temeraire, after the ship – has taken a liking to him, and that means that Capt. Lawrence is going to have to leave the Navy and enter His Majesty’s Aerial Corps, to fight Napoleon from the back of his very own dragon. There are two kinds of people in the world: people who think that the Aubrey/Maturin series is great but would be even better with dragons, and people who think the first type are crazy. If you’re the first type, this series is for you. 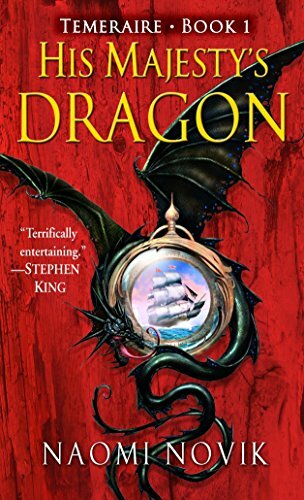 While the first book is a fairly straightforward adventure, later books explore more parts of the world and how the presence of dragons changes them from what you’d expect. As Temeraire (and Will) learn more about how the rest of the world does things, they begin to seriously question the society in which they live. 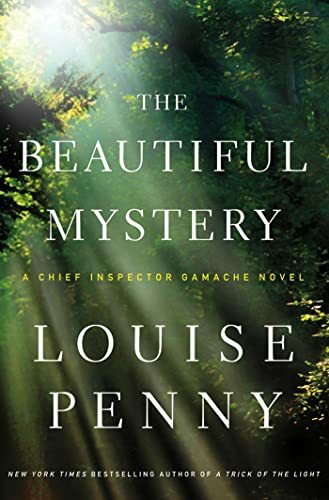 Book – I picked up this book on audio, because it was billed as one of the best mysteries on audio, it received starred reviews from Library Journal, BookList, and Publisher’s Weekly and received numerous awards including the Agatha. I was not disappointed by this locked room mystery. It is set in the monastery of Saint-Gilbert-Entre-les-Loupes on a remote Island in the wilderness of Quebec. No outsiders are allowed in the monastery of 24 monks who live a serene and very isolated life, but Chief Inspector Armand Gamache and Jean-Guy Beauvoir are summoned to investigate the murder of Frère Mathieu, the monastery’s renowned choirmaster and prior. The investigation is difficult as the monks in the community haven taken a vow of silence. Ironically they have become world famous for a CD of their singing Gregorian chants. Their glorious voices, raised in ancient chants whose effect on both singer and listener is so profound it is known as the beautiful mystery. The investigators soon find grim discords among the seemingly unified and peaceful brothers as they search for the motive and murderer. This is the eighth book in the Inspector Armand Gamache mysteries. I now plan on reading the entire series. This book should appeal to fans of The Name of the Rose by Umberto Eco and Murder in the Cathedral by T.S. Eliot. 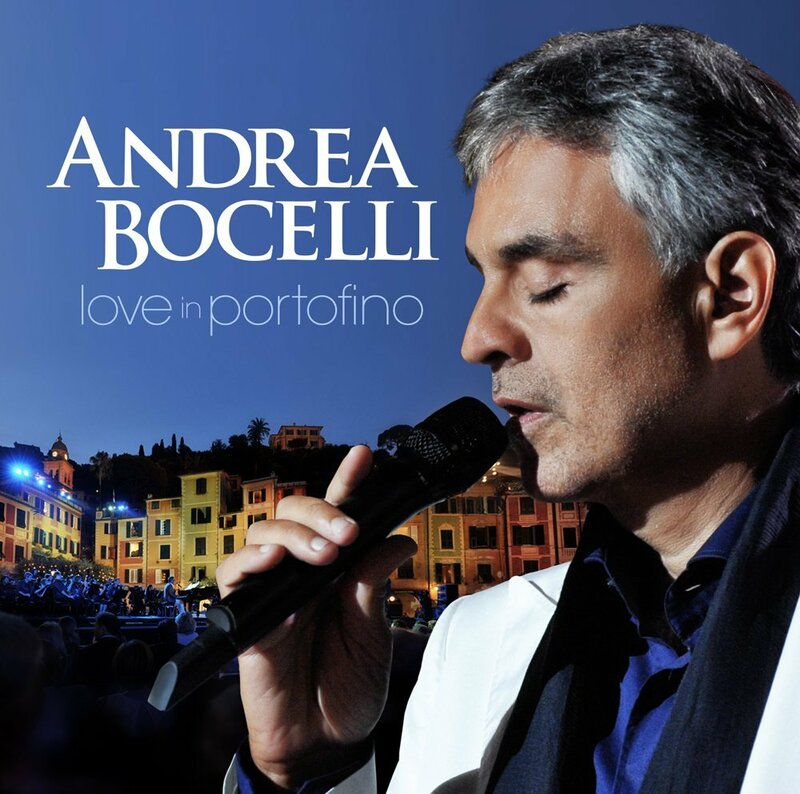 Movie – Love in Portofino by Andrea Bocelli is a CD/DVD set which is THE perfect date night, romantic, video. On this release, Andrea delivers the performance of a lifetime from the beautiful surroundings of the Pizzetta in Portofino, Italy. Playing to an intimate crowd at sunset, the legendary tenor sings the most famous love songs in the world accompanied by 16-time Grammy Award winner David Foster and a 40 piece orchestra. Bocelli has sold over 80 million albums worldwide, making him the biggest-selling singer in the history of Classical music. He holds the 1, 2 and 3 positions in the Guinness Book of World Records on the Classical music charts, and a record six of his albums have reached the Top 10 on the Billboard 200, and a record-setting eight have topped the classical albums charts in the United States. Andrea, who has a law degree and plays many musical instruments, has been blind since age 12. Although the PBS special of this performance has more songs on it, and many of the songs were previously recorded on his album Passione, the background of the truly picturesque harbor on the Italian Riviera just takes your heart away. I loved the songs like “Quiet Nights of Quiet Stars,” “Love in Portofino,” and “Champagne,” but all of the songs are wonderful and the night could not have been more romantic. Andrea has a star on the Hollywood Walk of Fame (as of 2010). Take this DVD/CD set along on your next date. 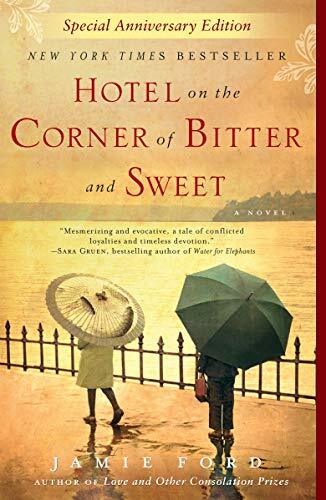 Book – With great pleasure I will be giving away free copies of the book Hotel on the Corner of Bitter and Sweet by Jamie Ford on Wednesday, April 23rd (Shakespeare’s Birthday) for World Book Night. This is a beautiful, sentimental heartfelt story suitable for teens and adults. Set in Seattle during World War II, 12 year olds Henry Lee and Keiko Okabe form a friendship, drawn to each other since they are the only non-Caucasians on scholarship at a prestigious private school. Unfortunately the relationship is forbidden and Henry must keep it a secret from his family since he is Chinese and Keiko is Japanese. Henry is forced to wear a button reading “I am Chinese” by his father, who has a deep-hatred of Japan. Japanese residents of Seattle have begun to be shipped off by the thousands to relocation centers due to the bombing of Pearl Harbor. Eventually, Keiko and her family are sent to an internment camp in Idaho and Henry vows to wait for her. Forty years later, Henry learns that the Panama Hotel will be renovated and that the basement contains the belongings of many of the Japanese that were forced to leave Seattle during WW II. His fond memories of Keiko are rekindled and he relays of his friendship to his own son, in hopes of preventing the dysfunctional relationship he experienced with his own father. This is a good choice for a book club and if you enjoy this novel you may want to read Jamie Ford’s new book Songs of Willow Frost. Book – Oscar is doing pretty well for himself. He’s found his way to Cambridge, working his way through his degree as an aide in a nursing home, where he meets the most interesting characters. He never loses his head, though, until he meets Iris Bellwether at one of her brother’s church services (he plays the organ). A little light church music isn’t all Eden Bellwether is interested in, though, and before he knows it, Oscar is drawn into Eden’s circle of admirers, accomplices and experimental subjects. Eden believes that his music has the power to heal. He might be right. 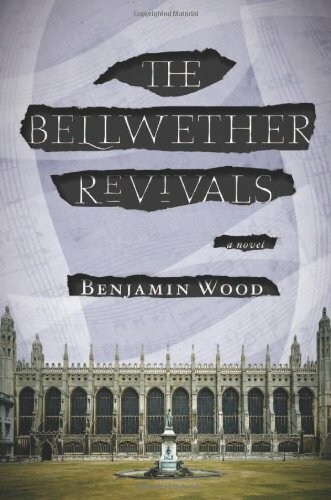 This spectacular Gothic novel by debut author Benjamin Wood sucked me in from the wonderful two-page prologue. It’s been repeatedly compared to Donna Tartt’s The Secret History and Evelyn Waugh’s Brideshead Revisited, but as I’ve read neither of those, I couldn’t tell you how accurate the comparison is. I can tell you that I fell in love with all the characters, who are by turns symbolic and wonderfully genuine, and that the tense, surreal atmosphere was sustained well throughout the book. I’d recommend it for a book club – there’s lots to talk about. Book – Three unresolved cases in England span twenty-four years. Case One involves the disappearance of three-year-old Olivia Land. Case Two involves the brutal, seemingly random, murder of eighteen-year-old Laura Wyre. Case Three involves Michelle, a new young mother who feels a murderous rage at being stuck alone out in the country with only her baby and husband for company. 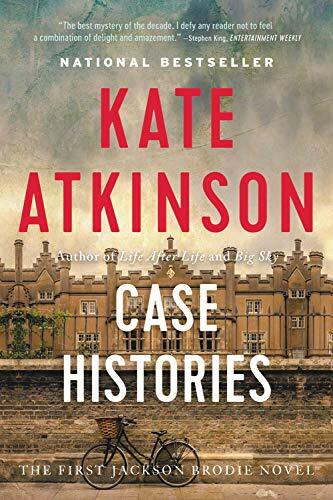 As private detective Jackson Brodie begins to look into the cases, he unearths startling discoveries and connections between the cases. We also get glimpses into Jackson’s own tragic past. As he comes to resolutions in the cases, he begins to make peace with his own history. This book was a page-turner and I enjoyed the plot’s twists and turns. It’s told from several different perspectives, which helps illuminate the hopes, struggles and failings of the characters. Despite the dark topics, the novel offers an overall message of hope and healing. Book – Step into Le Cirque des Rêves, which has literally appeared overnight, and it will impact your senses, sight, sound, smell, and touch. As an audience member of The Night Circus, one does not perceive some of the subtle changes that are periodically impacting the surrounding environments of aesthetic wonder. These changes are the result of a long-standing competition between two young illusionists; yet, the duel was not of their making. Cecilia and Marco are pawns in a game constructed by the two powerful rivals, who are also the young contestants’ guardians. However, these controlling mentors do not control the feelings the young magicians develop for each other. Unanticipated, Celia and Marco’s romantic feelings may inevitably have dire consequences for all who inhabit and attend the circus. For the audio-book one of my favorite narrators, Jim Dale, award-winning narrator of the Harry Potter series, adds depth to the large cast of characters populating this turn-of-the-twentieth-century world. His idiosyncratic method of narration is well matched for this story set just outside of reality. Book – This historical thriller will keep you turning pages in anticipation of the eruption of Mt. Vesuvius. 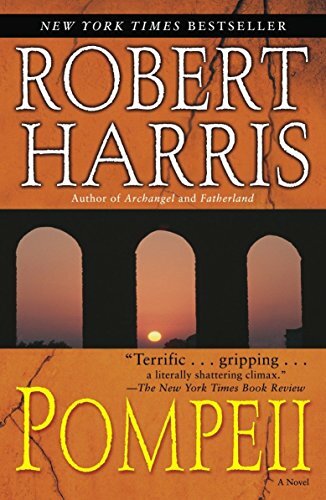 Set on the island of Pompeii in 79 A.D, hydraulic engineer Marcus Attilius is summoned to repair the aqueduct system that supplies fresh water to the residents. Attilius discovers a blockage that threatens to deprive a large area of the empire of water, but he is also troubled by the strange environmental occurrences that may be an indication of an impending natural disaster on a massive scale. He falls in love with Corelia who supplies him with proof that something sinister is afoot on Pompeii. As he races against the clock to make repairs, his angst increases and he is hindered by corrupt violent officials from warning the inhabitants of impending and unstoppable disaster. Will Marcus get off the island with Corelia before the volcano blows its top? This novel is well researched with rich historical details transporting us to this ancient world. Book – For the past several years I’ve been attending the awards ceremony for the James Tiptree, Jr. Award, “an annual literary prize for science fiction or fantasy that expands or explores our understanding of gender.” Sometimes I’m already familiar with the winner, but usually I get a list of great new books to read. 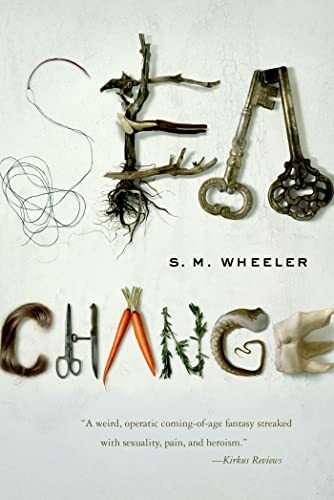 This year the only one of the nominees I’ve already read is Sea Change, a fairytale by S.M. Wheeler about a girl and her octopus. Lilly lives a sad and miserable life as the only child of parents who hate each other, perched in their castle by the sea. Her best friend is Octavius, a kraken; the two of them talk about friendship and morality. Then one day Octavius is captured and sold to a circus, and Lilly sets out on a quest to rescue him. This is an incredibly poetic book, written more for the beautiful language and the sense of a fairy-tale than for ease of reading. Lilly’s story is a hard one, but the way she perseveres and changes is inspiring. I’d recommend it for fans of Caitlín R. Kiernan and Catherynne M. Valente.